Material: Soft Premium PU Leather. 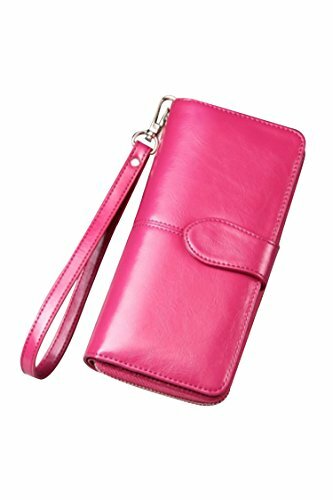 Multi-function Zipper Wallet Case: 14 Card slots(2open ID/licence/photo window) 2 full-length checkbook/receipts slots,1 zipper pockets with 2 compartments. Build-in wallet function for ID cards, credit cards, business cards & cash And your Smartphone. Long Wallet Fit for iPhone 7/7plus/6/6S/6S Plus, Samsung Note2/3/4/5, Samsung S3/S4/S5/S6/S6Edge/S7/S7Edge, LG G3 G4 and Other NO MORE than 5.7 inch. Made of smooth,soft and high quality genuine leather.Looks classy and attractive.Excellent packaging nice for presenting as a gift. If you have any questions about this product by Deerludie & T, contact us by completing and submitting the form below. If you are looking for a specif part number, please include it with your message.